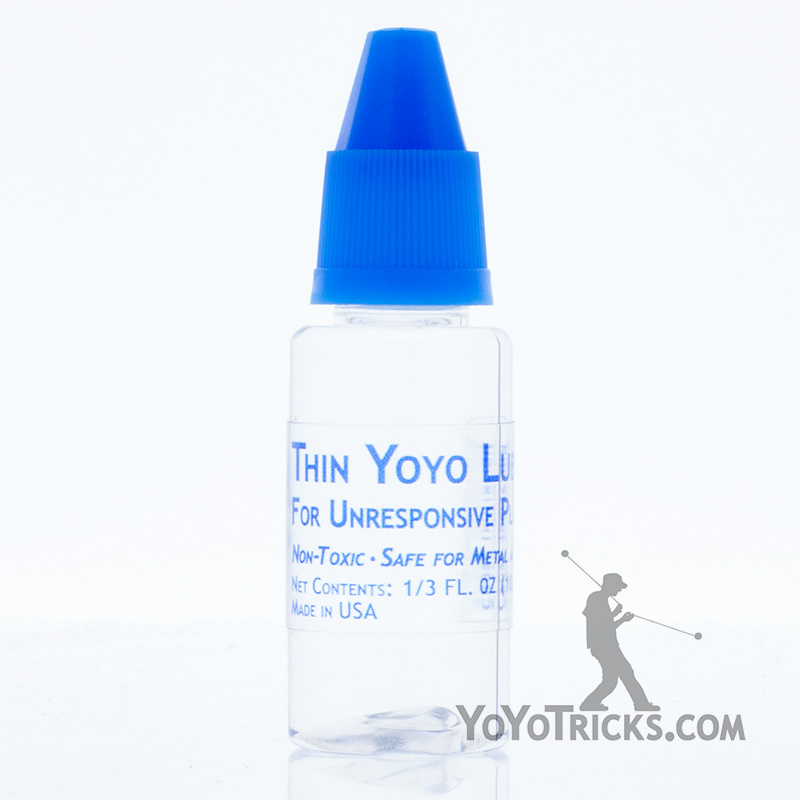 YoTricks Thin Yoyo Lube was formulated with modern unresponsive yoyos in mind. 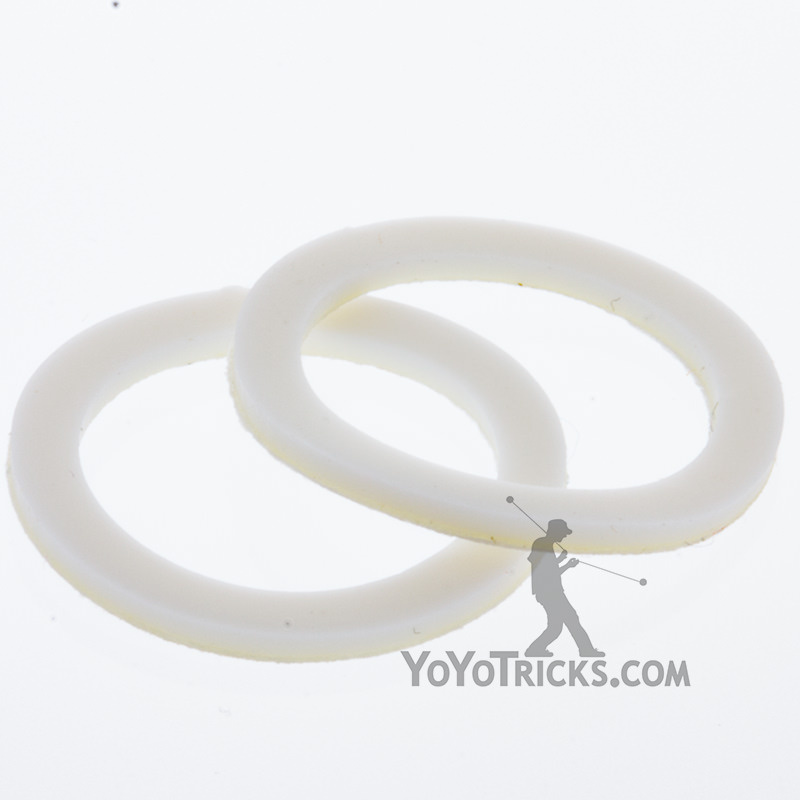 YoTricks Thin Lube allows bearings to play unresponsive, while protecting them so they last much longer. Without lube unresponsive bearings can wear out very quickly, but thin lube is an easy way to extend your bearing’s life while still allowing ultra long spin times and smooth play. Because of this YoTricks Thin Lube is the ideal lube for any 1A yoyo you want to play unresponsive, whether it is plastic, hybrid, budget metal, or high end metal or bi-metal. It also comes in a bottle with a fine point tip so it is easier to get the right amount of lube precisely where you want it. When lubing a bearing for unresponsive play it is best to remove the bearing from the yoyo, because you will want to lube both sides of the bearing. 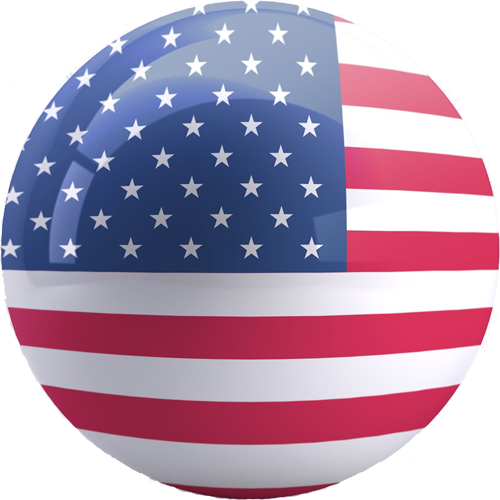 In most cases a fraction of a drop of lube on both sides of the bearing will be more than adequate to protect the bearing while allowing the yoyo to play unresponsive. If too much lube is added to the bearing it will cause the bearing to temporarily play responsive. Once a drop of lube has been put into either side of the bearing it is a good idea to take a paper towel or rag and wipe off the exterior of the bearing to remove excess lube. This will keep the lube from getting on the yoyo. 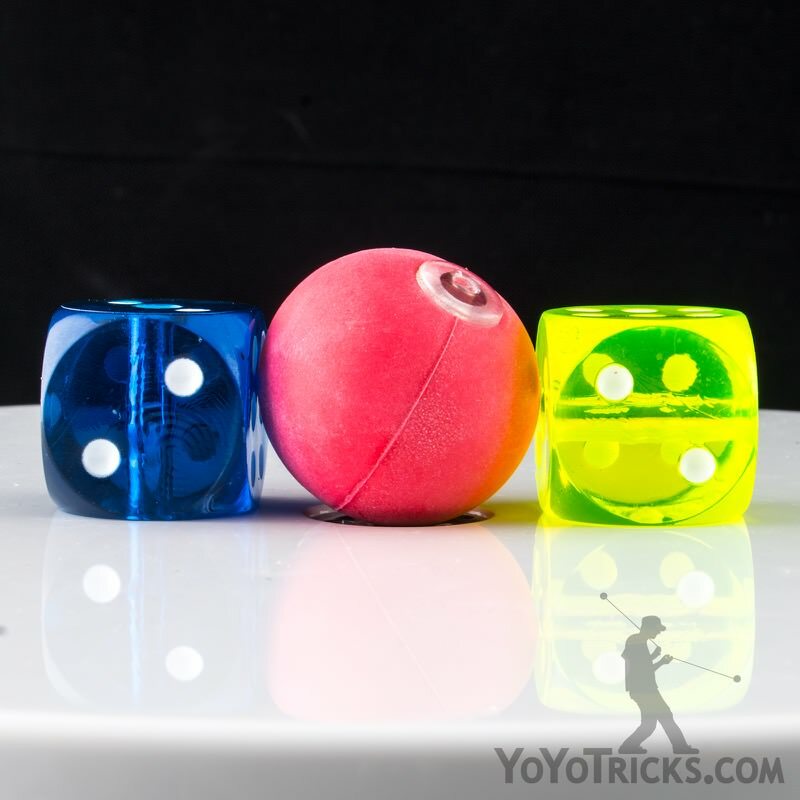 While it is okay if some lube gets onto the yoyo it can cause the yoyo to play responsive. If any lube gets on the yoyo simply wipe it off.